I can't believe I've been letting our steamy Saturday posts slide! Time to do some catching up! 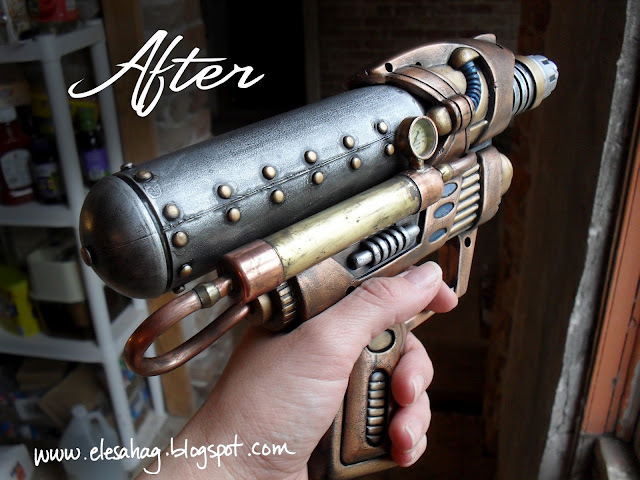 I know some in the steampunk community think modded Nerfguns are old hat, but would you LOOK at how cool this is? Or how about this kickin' sniper rifle? I really must get me an old Nerf gun soon. The box only *looks* like metal, sadly, but for less than $6 I guess we can't complain. Much. 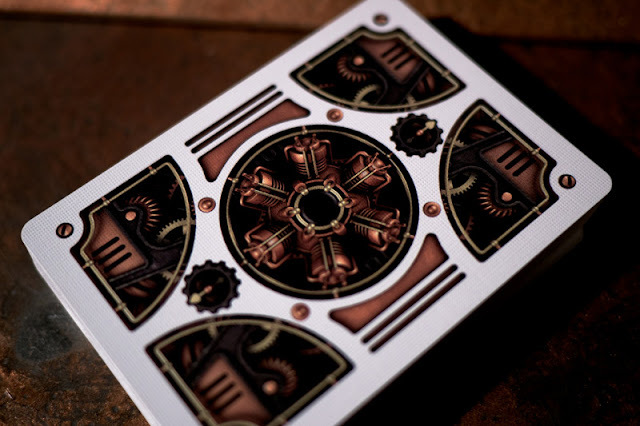 It is wrong that I wanted the cards to look more aged, like parchment paper? Canadian company, so odds are my fellow Americans have never seen it. Aren't the little robots adorable? And that little beating heart! Ack! Kinda reminds me of the steampunk Glinda from that Wizard of Oz troupe I saw at Dragon*Con two years ago. And speaking of amazing finds, you guys, I FOUND MY DINING ROOM LIGHT FIXTURE!! Isn't it amazing?? 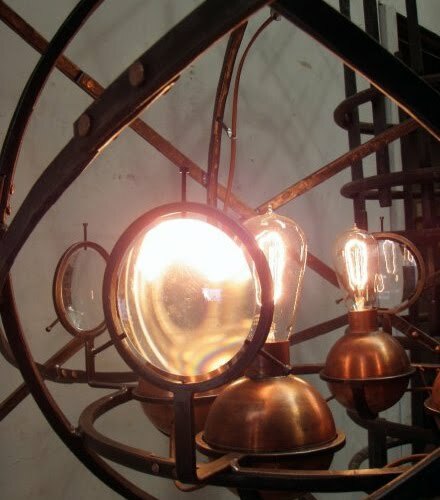 I love the armillary sphere design, and the giant industrial chain and hook, and the magnifying glasses in front of the Edison bulbs. 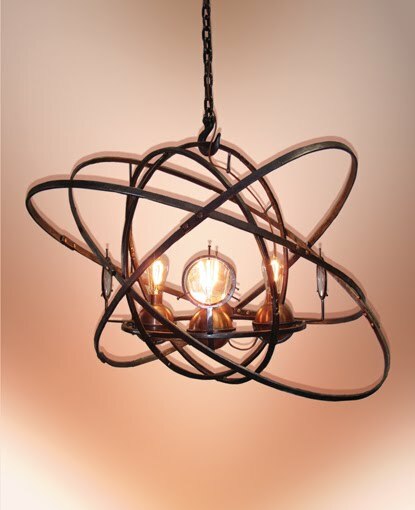 Yep, it took years, but I finally found the perfect light for our steampunk dining room. Now I'm just gonna need one of you to spot me $6,375 so I can buy it. And this one's only $4,275, so that's practically a bargain. I'm trying to convince John to learn welding so we can make our own, but maybe a Kickstarter campaign would be a better idea. Or lotto tickets. Lots and lots of lotto tickets. Heh. You can see a quick video of the train pulling into the station here. Ok, I think that's enough for today! As always, if you see something cool and steamy this week, please share in the comments, or shoot me an e-mail! 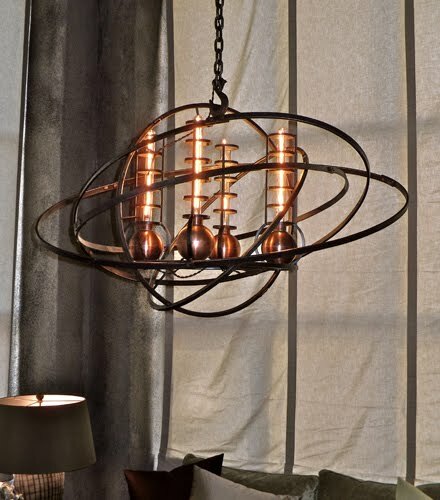 To be honest, the lighting fixture does not look *that* difficult to make (says a person who never has welded anything in her life). It is just circles put together, no? How about contacting a local vocational school or whatever they are called over there and ask some welding students (:-P) to make one for you? Didn't you see?? Not armored seahorses, but armored UNICORNS! Yes sir! Very awesome! ...and now I bet my post will be just one of about 30 posts mentioning that they are unicorns, not just seahorses. Sorry 'bout that! 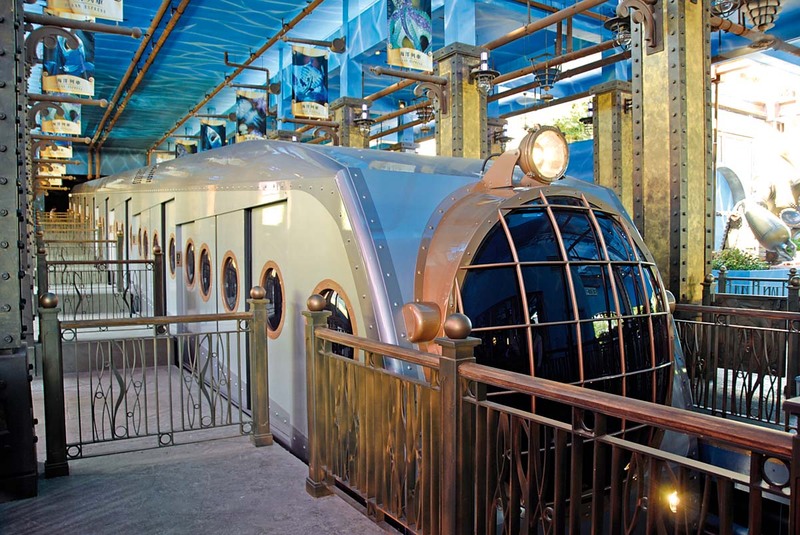 That Ocean Express train is giving me a huge Bioshock 2 vibe. Even if the ride is dippy, I desperately want to go on it. Awesome post but I noticed one error. The McCains commercial, they are a Canadian company, I know this because I grew up next to their world headquarters in New Brunswick Canada. Drove past the factory and offices many times growing up. Awesome commercial tho, love it!! 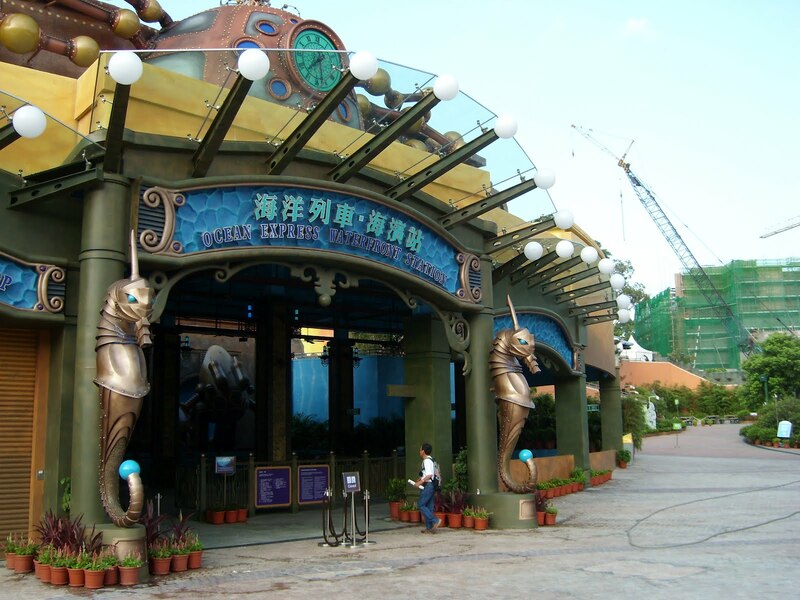 I must now add that park in Hong Kong to my Asian theme park bucket list. How cool is that! Of course it can't hold a candle to Tokyo Disney Sea, and their stuff. But still way cool! One day I'll get to ride 20,000 Leagues in style! Love the McCain commercial! The little robot that peeks around the dish? Adorable! Yu know, if you're ever vacationing in the Bahamas, you need to visit the Atlantis Resort and tour The Dig, an "archeological dig" of the lost continent. Tangentially related: any recommended sources for sharp, plain hat pins? No feathers, no massive lace roses, no decorative beads, if possible. Just a nice, sharp, black or silver hat pin so I can wear my fedora or my cloche to class? 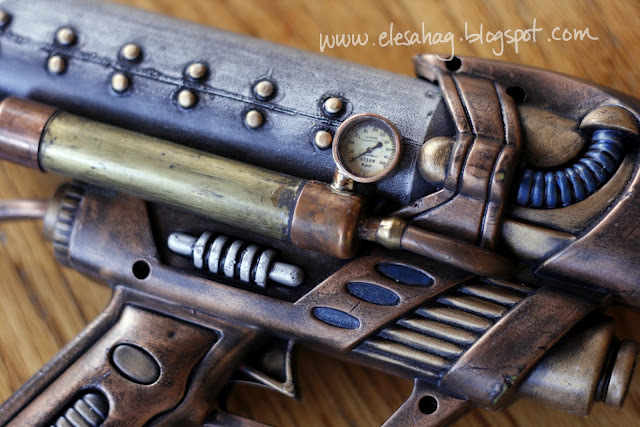 With all your awesome steampunk cosplaying, I figured you'd be in the know. Etsy, of course, has many beautiful pieces, but they are much more decorative than I want. Yay! I've missed the Saturday Steam posts. These are some awesome finds, for sure. I love the light fixtures, especially. Definitely don't have thousands of dollars for them, but damn are they cool! John can't weld??? I'm flabbergasted that there is something that man cannot do! McCains is actually a Canadian company.... not a British one. While the ad is British, the company isn't. 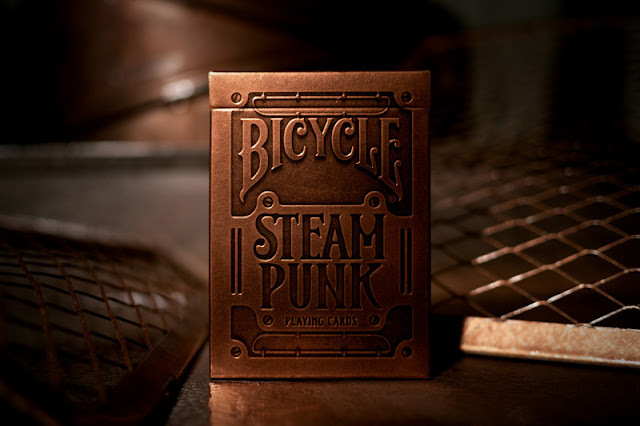 I don't know if you know already (you probably do), but Modcloth.com has a really decent steampunk collection that I just checked out yesterday. Hey! That's my gun! I am a huge fan of yours and very, very flattered to have you feature my gun. You made my day. Thanks. Now I gotta go buy me some steampunk playing cards cuz those are awesome. I saw this & thought of you! Have you ever seen Space Mountain at Disneyland Paris? Very Jules Vern and even cooler when you see it working in person - the train of cars is "shot" from the bottom of the "cannon" thing on the side instead of "click-clicking" to the top for the first drop. @Haiku Joy - Do a google search under shopping for "millinery hat pin" and you should find some. Even better link for hat pins! These are 5 inches long. If this is Ocean Park in Hong Kong (which it looks like it is) then you may want to check out the google earth shot of the park. There is a little seahorse "carved" out of the greenery on the side of the mountain as you go up the skycar. Very cool looking! (My hubby visited while he was overseas in the military and said it was amazing.) If money weren't an option, we would have honeymooned here. I think you could totally come up with a DYI solution for that light. You've done some amazing projects. Coming up with a design drawing inspiration from the light you like shouldn't be too bad. 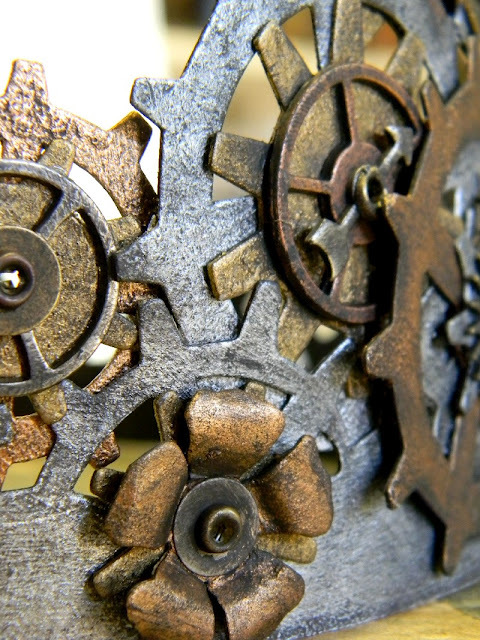 Hey Jen, love your blog :) Why wouldn't you want to learn to weld? John doesn't have to do everything power tool like. Empower yourself girl! @Brooke - that light you posted is great when in the bronze finish... I think I may be buying it. Some old fashioned light bulbs (like Jen used for her christmas tree topper) recycle some magnifying glasses and I think you could certainly get close to recreating the one posted! @Brooke, you research goddess! Thank you muchly. When I used just "hat pins" as my search term, I kept getting pin-up posters that happened to have women wearing hats in them. Your term is so much more helpful, and then you gave me links, too! Thank you! 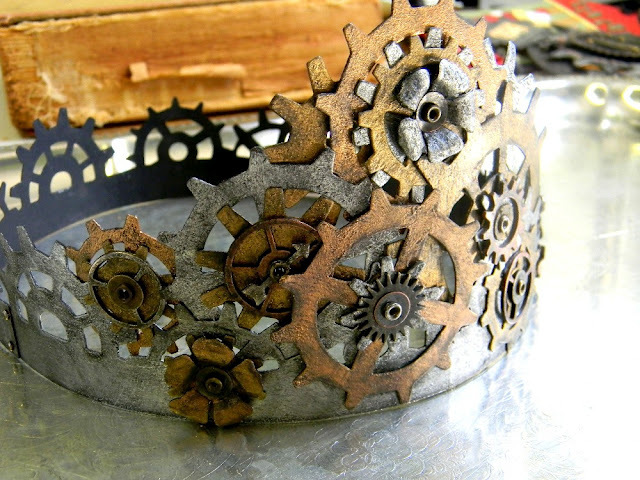 Thanks so much for featuring my gear crown! I love the cards and agree that they should look more aged. It would be easy enough to do with a little sanding and some sepia ink. I'm glad to see this! I'm recently engaged and you're one of my bigger inspirations for wanting a Steampunk wedding. Thank you for the many tutorials and ideas! I'm actually going to Hong Kong next month, Jen (on the way back from my son's wedding in Australia!) That theme park is on our to-do list -- if we go I'll get some more pics for you! Are you looking for a new pair of shoes, Jen? Check THIS blog post out! Using t!m Holtz (natch!) products! Wow, thank you so much for all of these! As for the chandelier, when you make it, you'll post a tutorial, right? 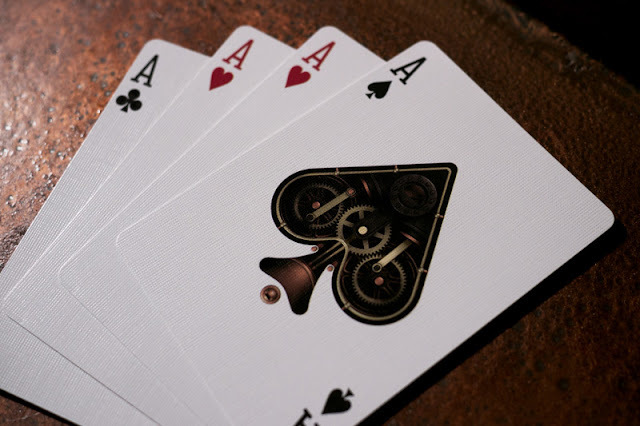 Anyone else notice, there are 2 x Ace of Hearts??? ?